Bollywood superstar Aamir Khan was in Hyderabad yesterday to promote his upcoming film, Secret Superstar. The film has Dangal actress Zaira Wasim playing the lead, while Aamir will be seen in a hilarious role of a music composer named Shakti Kumar. 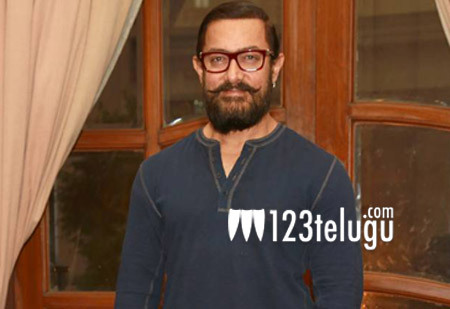 During his interaction with the media personnel, Aamir was asked if he is interested in acting in a Telugu film. Aamir said he would surely be interested to act in a Telugu movie and went on to say in a lighter vein, “why don’t you ask Tollywood directors and filmmakers to give me a role?” Aamir also praised the Baahubali duo, Rajamouli and Prabhas, and said that Baahubali had collected more than Dangal.